Often enough, there are more than a few grumblers that come into earshot, and in some seasons, it can seem like they are never out of range. Job had his three grumblers; Paul and Barnabas had theirs; even Jesus had his bellyachers. What should one do when surrounded by those who love to complain? Let us not learn too quickly from Job, since he whined right back. The Gentiles in our New Testament reading however, are a good example to us. They did not listen to the grumblers, nor did they add their voices to the muttering. Instead, they heard the word of God with joy. They listened to the Lord instead of to the troublemakers. 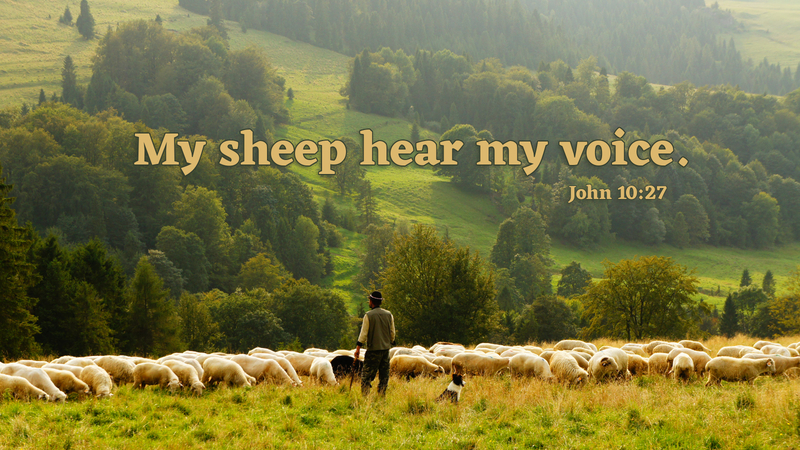 Christ’s sheep hear his voice and follow him instead of falling in with the squawkers. When the grumblers get you down, listen for the voice of the Lord rather than the voices of the bullying bleaters. Job was brought back into the fold, when he listened to the Lord’s voice instead of his friends’—and instead of his own. For it was only then that he understood he was redeemed by the Lord’s righteousness instead of Job’s. Prayer: Help me listen to your Spirit, Father. Amen.